A new study has found Australians think Aldi’s fresh produce offerings have improved in value, quality and choice. Australian vegetable industry group, AUSVEG, has released a report on its research into perceptions of Aldi’s fresh produce offering. The report found that most now perceive Aldi as equal to Woolworths when it comes to value. Coles and speciality retailers are also placed only slightly ahead of Aldi. When it comes to quality, Australians now say Aldi is on par with independent supermarkets and just behind Woolworths and Coles says AUSVEG. Speciality fruit and vegetable retailers continue to lead the pack on all counts, however, with consumers ranking greengrocers number one for perceived value, quality and choice of fresh vegetables. AUSVEG spokesperson, Jarrod Strauch, said consumers continue to see their local greengrocers as leading the pack when it comes to fresh produce, but its clear they do see distinctions between the big supermarkets. “Aldi and the independents are seen as offering slightly less variety for shoppers purchasing fresh vegetables, especially compared to the well-perceived ranges of speciality retailers,” Strauch said. 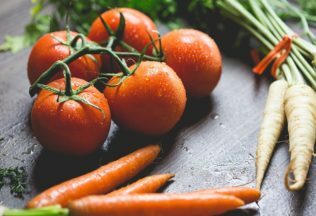 “Interestingly, consumers also perceive two ‘tiers’ when it comes to the quality of fresh vegetables on offer, with speciality retailers ranked above the rest of the pack. This means that when shoppers think about the quality of vegetables on offer and the value for money they’re getting from their purchases, they’re placing Aldi right in the mix with Woolworths and Coles,” he said. “Considering that over 90 per cent of all fresh produce sold in Australian retailers is grown by our hard-working local growers, one thing’s for certain – it’s easy to buy high-quality Australian vegetables no matter where you shop,” Strauch concluded.